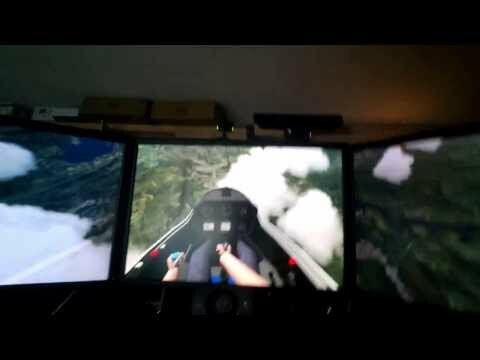 I’ve added head tracking using TrackIR. This will allow the simulator pilot to change their view without using a secondary control (such as a keyboard or joystick). It took a bit of tweaking to get the tracking calibrated and the speed and smoothness settings correct. Here’s a quick demonstration video. Note that the instrument panel is not placed in the optimal position. I am moving it to an adjustable mount that I am in the process of fabricating.